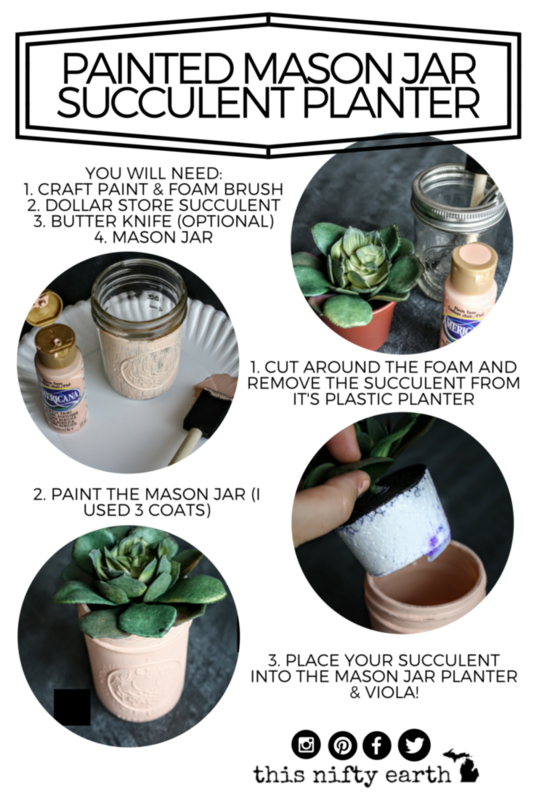 Start by painting your Mason Jar in the color you choose. I did several coats to get good coverage on this one, but you can get almost a distressed look with fewer coats. 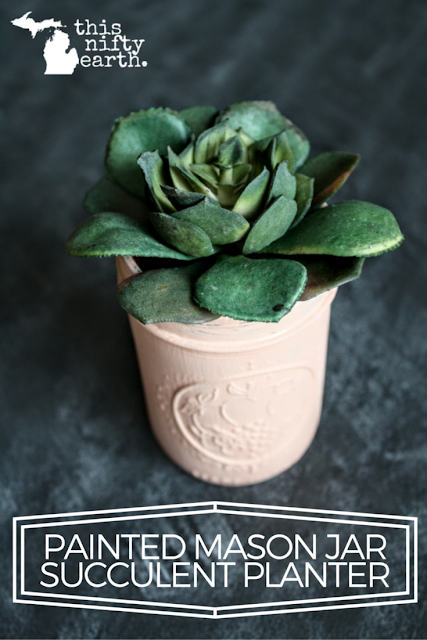 Using the butter knife, carefully cut around the succulent and remove from it's plastic potter. Once the Mason Jar is dry, pop the succulent in and BAM! Instant cuteness! I love how this 'lil guy turned out and it's perfect for a simple gift, or to display on my book shelf! What would you guys do with this simple DIY? Similar to last time, I've put together this cute step-by-step for you! Go ahead and share on social media to your hearts content! Make sure to share your creations with us using #niftycrafts! Feather Wedding Favors + Yay! We Shot A Wedding!